We are one of the leading tensile structure manufacturer which is widely used in outdoor areas like parks, gardens, restaurants, bars and many more. 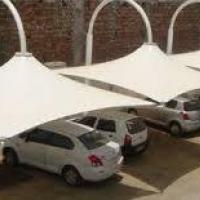 It looks completely stylish and provides better shade on installed big areas. Such as auditoriums, warehouses, swimming pools, Food courts &amp; tennis courts. 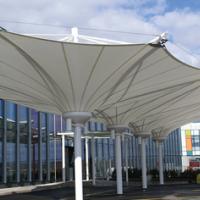 This tensile fabric architecture structures is manufactured using grade one of mild steel raw materials. We are also engaged in fabricating and installing in high tensile Auditorium Tensile Structure.